COMMUTERS from several barangays in Lapu-Lapu City had to wait for hours starting Tuesday morning, January 29, just to get a ride. 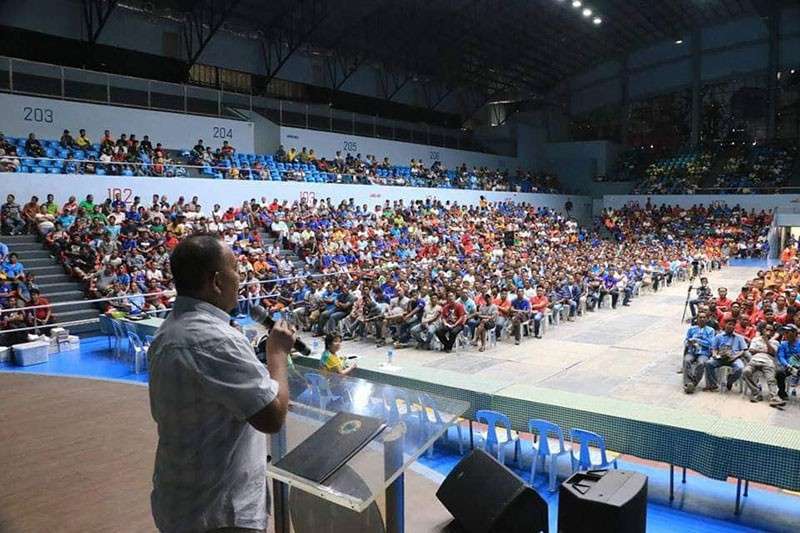 This, as 3,000 public utility vehicle (PUV) drivers in the city were required by the Land Transportation Franchising and Regulatory Board (LTFRB) to undergo a Driver’s Academy for the entire day and could not ply their usual route. Due to the activity, only a few PUVs including tricycles, passenger multicabs, jeepneys, vans-for-hire, and taxis were on the road. To address the shortage of PUVs in the city, the Lapu-Lapu City Government deployed three of its buses, two minibuses from Barangay Mactan, 20 multicabs, two trucks, three tour buses and even the service vehicle of the City Disaster Risk Reduction and Management Office (CDRRMO) just to help commuters. Mario Napule, City Traffic Management System (CTMS) head, said that due to the volume of commuters in the Barangay Mactan area, two private tour buses were permitted to pick up passengers, especially those bound for Cebu City. 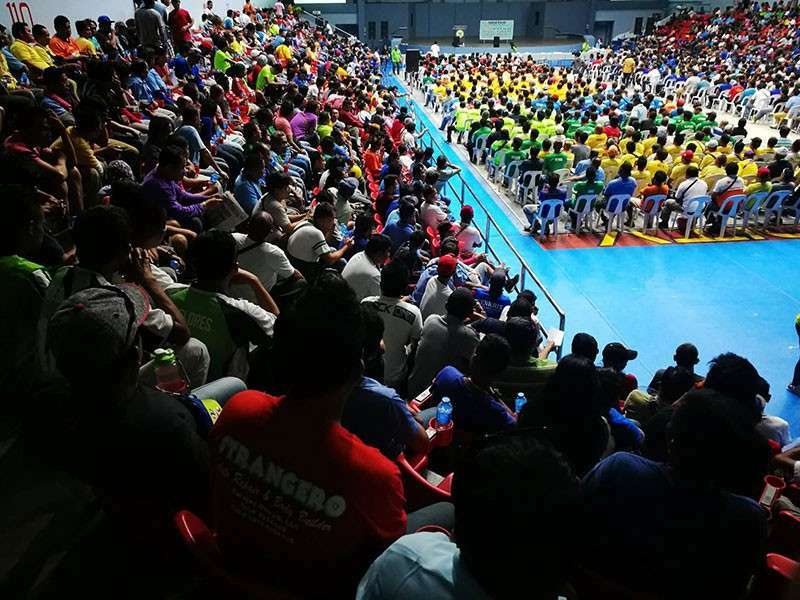 Most of the commuters were able to get a ride by 9 a.m.
At the Hoopsdome where the seminar was held, LTFRB-Central Visayas director Eduardo Montealto warned public utility drivers that their license would not be renewed if they refuse to undergo the seminar. The Driver’s Academy seminar is one of the requirements for the driver’s license renewal. “The Department of Transportation (DOTr), through LTFRB, mandates that PUV drivers who didn’t graduate in the Driver’s Academy training will not be allowed to drive,” Montealto said. The LTFRB was supposed to conduct operations beginning this month asking drivers for certifications if they took the Driver’s Academy training before they have their licenses renewed. 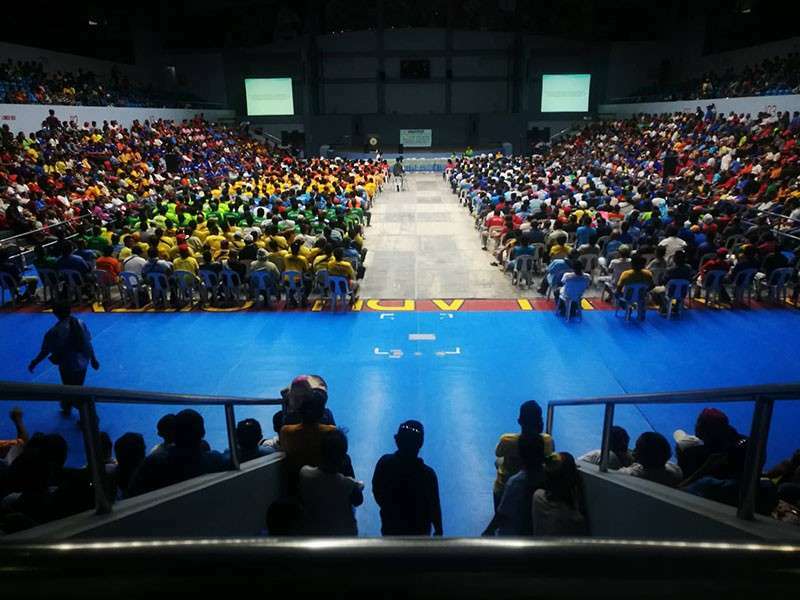 But Montealto delayed its implementation after finding out that only 43 percent of the total 32,000 drivers in Central Visayas were able to undergo the training. This, despite the LTFRB’s rollout of the Driver’s Academy seminar in the region starting last July. The Driver’s Academy training aims to educate PUV drivers on LTFRB policies, road safety, road rage and anger management; traffic signs and road pavements and good grooming. After the training, the driver will be provided a certificate. LTFRB will start asking drivers to present their certificates in May.